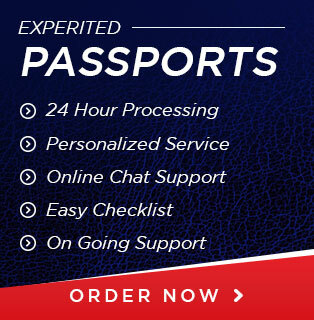 If you’ve got a big trip abroad coming up and suddenly realize that you don’t have your United States passport in order, the most important thing is that you shouldn’t worry – expedited passport services are here to help you. Even if your trip is coming up fast, you still have a number of options available to take full advantage of to make sure that everything goes off without delay. Expedited passport processing is one of the single best ways to get your US passport in your hand as quickly as possible. Wait the standard four to six weeks for processing. While this is the way that a large portion of travelers handles processing, it may not be fast enough depending on just how soon your trip really is. So, whatever your circumstances are you have choices on which service you wish to use. If you have the time, the best option would be to use routine processing but if you are in a rush. Then, expedited service is your best option. Keep in mind that the cost for both services varies but, in the end, you will have the document you need to travel. There are a number of important benefits that come along with using a private passport expeditor service for all of your passport processing needs. The most obvious benefit is that you can get your passport very quickly, making sure that nothing gets in the way of your big trip. You can also avoid long delays – if you submit your passport through the Postal Service, for example, a rejection will need to be handled by mail, significantly delaying the proceedings. A private passport expeditor will also give you personalized services, which itself generates the peace of mind that only comes with knowing that your needs are being attended to by someone who truly cares about your success. You also get to skip the notoriously long lines that you would have to deal with if you made an appointment at a passport agency and submitted everything in person.